If you were looking forward to the heady mix of Nick Kyrgios, tennis’s Four Loko, and Roger Federer, aging like a fine wine, my condolences. 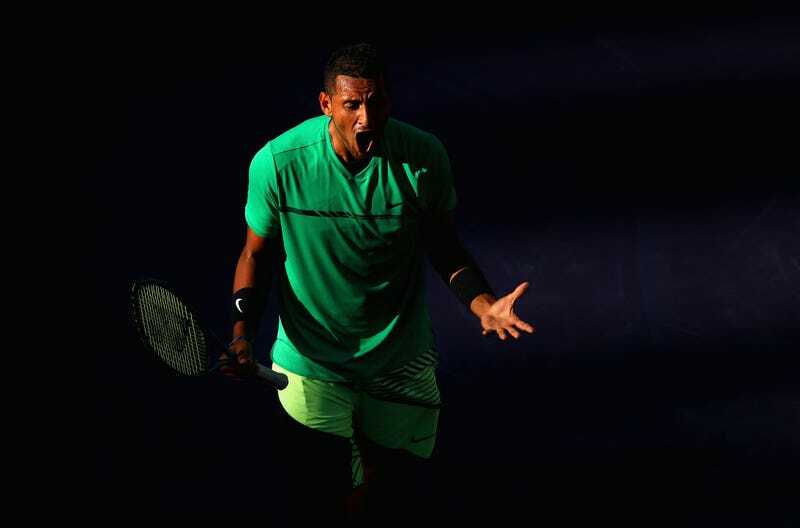 Indian Wells will stay dry tonight, since Kyrgios just pulled out of this anticipated quarterfinal due to an unspecified illness. He won’t get that chance, though he now has an extremely healthy chance to tie Djokovic for a record five titles at Indian Wells. If higher seeds prevail in the remaining matches—and they probably will—Federer’s final two foes will be Kei Nishikori, followed by Stan Wawrinka. It’s a familiar slate: Federer just beat these guys in consecutive five-setters back at the Australian Open, and he’s now striking his backhand even more commandingly than he was back in January.